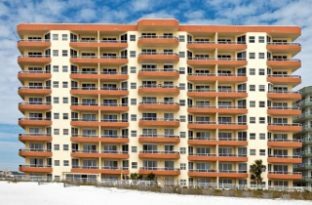 Orange Beach gulf-front condo for sale at The Enclave. Come see this east-corner beachfront property with approximately 1,580 square feet and amazing views of the sugar-white beaches and the emerald waters of the Gulf of Mexico. This 3 BR resort residence was completely renovated in '11 with new cabinets, granite counter -tops in kitchen, baths and wet bar, tile floors, tiled balcony, lighting, kitchen appliances, furniture & interior paint. The outside A/C compressor was replaced in '12, a new clothes washer is '17. Hurricane Shutters and more... This community is conveniently located near shopping, restaurants and outdoor activities. Rental income for '17 was $40.5k and Jan- Sept. '18 $39k. Plan to see this condominium!